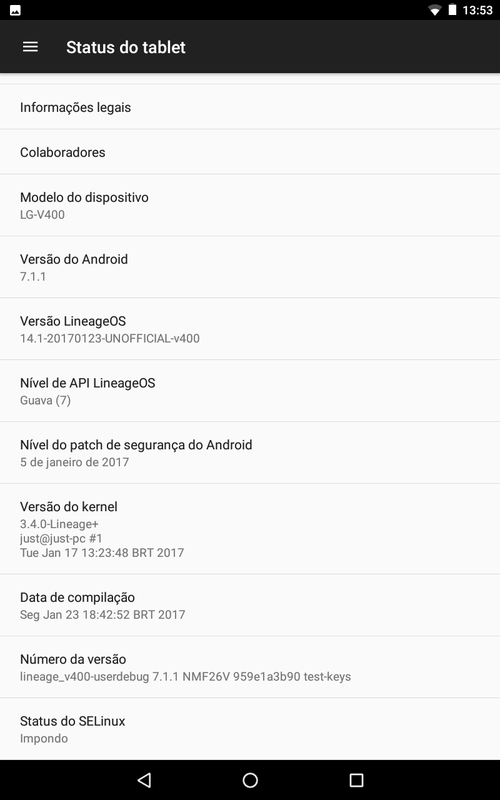 Today I’ve built LineageOS for v400 using the device source tree in LineageOS GitHub. Saulo has tested it and he says it’s working fine. So, since I’m not v400 maintainer, what can I do for you? I will make monthly builds using the source tree above and upload it to this server. I won’t make announcements of new builds, so you will have to check the downloads directory. 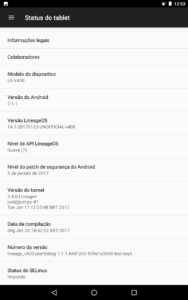 In this directory you will find the old CM-14.1 ZIP (I always keep my old files) and the monthly LineageOS ZIPs. If this device gets weekly official builds, I will stop building by my own. I’m only doing this to help v400 users. I won’t make changes to its code nor fix things since I don’t have this device to test. I have never encountered any problems. Thanks for helping me. For ROM Will you continue to be current? v480 will have weekly official builds and I’ll still make unofficial builds for v400 and v490. Can you provide build instructions for building CM-14.1 for V400 from source? V480 rom to v400 can be installed? It has the bug where the WiFi doesn’t automatically connect when powered on, I’m guessing that it’s from the v480 port. Is there an easy fix? Not yet. I’m still trying to fix it.